A new minister has moved to Oxford. 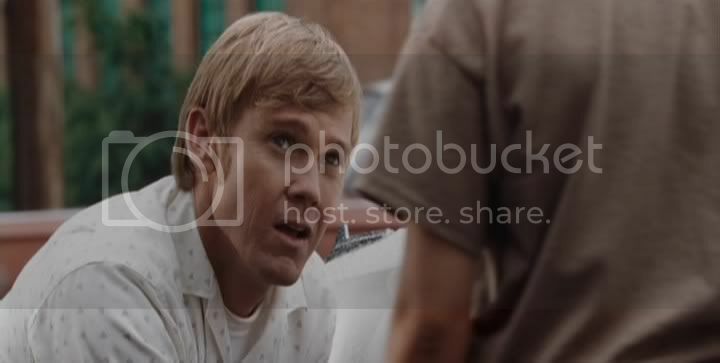 He is white, and his name is Vernon Tyson (Rick Schroder). He has a family and is eager to bring some change to an old southern town. His church is conservative and affluent, and generally apathetic toward the treatment most black people in the town receive. When he invites a prominent black preacher to speak he nearly provokes a schism that will rend his church in half, riling up the local KKK and threatening his job safety. 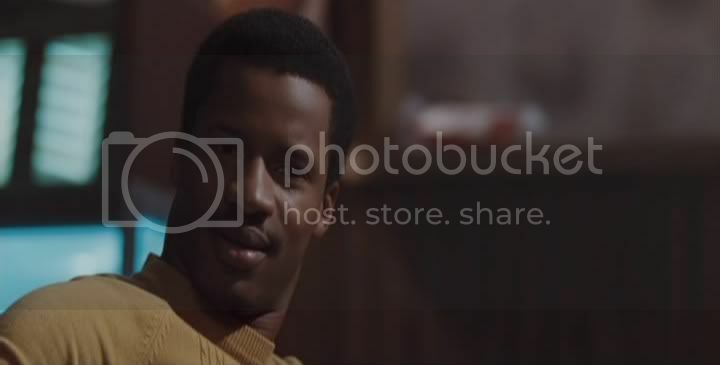 Simultaneously, Ben Chavis (Denzel Washington look-a-like Nate Parker) moves back to Oxford and decides to re-open the old family restaurant. But then he also teaches at the local black school. He has family in town, and the black community is very strong and centralized. Trouble arises when an extremely racist store owner and his two sons murder a recently returned Vietnam vet named Henry Marrow (A.C. Sanford) for a perceived advance on a white woman. The trial soon becomes a civil rights spotlight, and fire-stoker Goldie Frinks (Afemo Omilami) becomes involved in order to rile up the populace for a march on the state capital. Racial tensions are high, and soon there are violent protests alongside the peaceful march to see the governor. 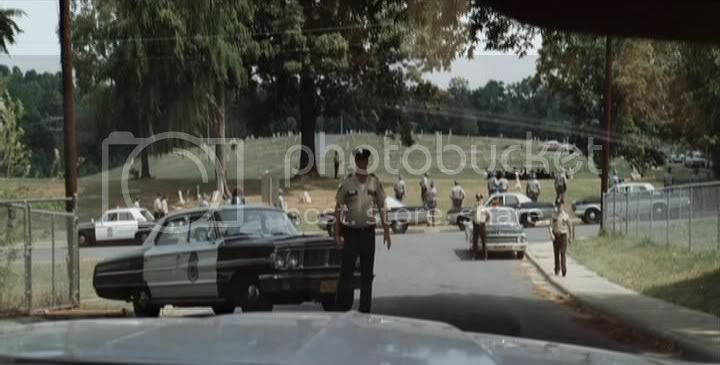 Instead, once the film details the murder of Marrow and the resultant public outcry, Chavis and Tyson are relegated to faces in the crowd, occasionally shown as outraged or indignant. The problem is that they no longer matter to the film, and whatever the trial’s outcome, it won’t have direct consequences for them or their families. Chavis is more closely tied to the trial, and participates in the march with Frinks, but he no longer has much effect on the proceedings as the matter gets swept into the court of public opinion. It’s hard to fault a film that so desires to remain historically accurate, but when the audience becomes detached from the subject matter (engaging on its own merits), the film loses its power. For a small, independent production it is rather smartly made, with credible sets and actors. There is an appreciable balance to the racial tension, and neither side has a chance to be high and mighty. The nonviolent black protesters are hurt by some young black men and their violent outbursts, while there are very few sympathetic white people at all. 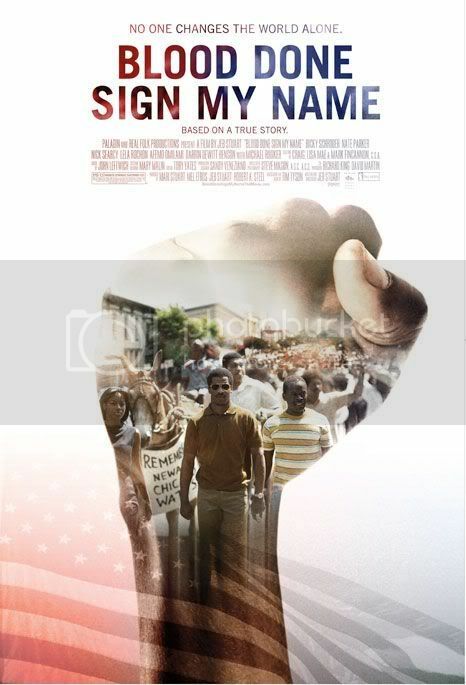 Blood Done Sign My Name begins with an interesting and important subject, but lets the historical details intrude too much for it to be an interesting and important movie. Some strong production values (for a small-budgeted film) are overcast by an emotional detachment that ultimately buries the film.